The term “mutual fund” is so widely used in investing circles that few people ever bother to define it. That’s all well and good if you’re “in the know, ” but it can be problematic if you’re not. With that said, I thought it would be worth taking a step back and providing a (very) brief overview of mutual funds. A mutual fund is essentially a professionally managed pool of money from numerous investors. This allows thousands of small investors to band together to buy a large portfolio stocks, bonds, etc. The fund manager/company then invests the pooled funds according to the stated goals of the mutual fund. Mutual funds can be actively or passively managed. With an actively managed fund, there is a fund manager who “actively” seeks to provide better returns than the broad market. Obviously, not everyone can be above average, so you’re essentially betting on the manager’s ability to outperform. In the case of passively managed index funds, the investments are managed to mirror the holdings of an underlying investment index such as the S&P 500, or the stock market as a whole. As such, these funds seek to match the returns of the overall market (minus a small amount to cover expenses). The primary advantage of mutual funds is that they allow small investors to achieve broad diversification. 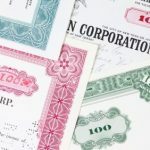 Instead of having to invest in numerous different companies, buy a boatload of individual bonds, etc., you can buy shares of one or a few mutual fund that are fractionally composed of hundreds or thousands of individual holdings. Another benefit for small investors is that mutual funds reduce costs as compared to direct investments. Because mutual funds make fewer, larger trades, they experience much less in the way of transaction costs. Yes, you have to pay for management, but that cost is spread across everyone that has invested in a particular mutual fund. It’s worth noting here that index funds are typically far cheaper than actively managed funds. Either one, however, is likely much cheaper than making a bunch of small(ish) trades, even if you would otherwise use a discount broker. Finally, mutual funds offer simplicity. For example, you can buy in with a set dollar amount instead of buying a round number of shares. Moreover, you’re effectively outsourcing the day-to-day management of your investments to a professional money manager or mutual fund company such that you can sit back and focus on the big picture. As much as I like mutual funds, there are some distinct disadvantages to these types of investments. Perhaps the biggest of these is a lack of control. This is especially true when you buy into an actively managed fund. While such funds typically have guiding principles, the investment strategies can be quite broad/loose, such that you’re essentially putting your faith in the judgement of the mutual fund manager. A related problem is tax inefficiency. When mutual funds managers make trades, they incur capital gains which result in taxable distributions at the end of the year. While index funds typically have fewer trades, and are thus less prone to this sort of problem, they still generate taxable distributions on a yearly basis. Thus, you’ll end up paying at least a small amount of capital gains taxes on an ongoing basis even if you never sell a single share. Another problem is fluctuating share prices even if you’ve bought a fund that specializes in fixed-income investments. While the underlying securities will maintain their value if held to maturity, the mutual fund itself is traded on a daily basis, and fund prices can (and do) fluctuate based on prevailing interest rates, investor sentiment, etc. Finally, while your investments are protected against fraud by SIPC insurance, they’re not protected against market losses. This is a particularly important point in the context of money market mutual funds (see note below), which are often treated by investors like savings accounts. *Note: There is a big difference between money market savings accounts and money market mutual funds. The former are typically FDIC insured, whereas the latter are simply managed to maintain a stable share value of $1, but with no guarantees. 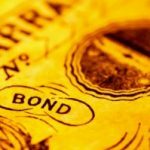 Since the article mentions bond index fund as well as stock funds, it’s important to point out an important difference between bond funds and individual bonds: individual bonds are fixed-income investments. A bond fund is not. #1 is correct that each individual shareholder does not have voting rights. HOWEVER, the mutual fund has the voting rights. The mutual fund has many more shares than you or I would own and thus MIGHT have an influence on how the company is run. An alternative to mutual funds is buying income producing bonds. Diversifying out of the dollar will get a double return as you get whatever the investment produces and the devaluation of the dollar. Anyone with more than the FDIC maximum in cash really needs to find an alternative place to store money…..
Alissa: Aaargh! I hit publish too quick this morning. Thanks for the catch. I fixed it. Not sure you’re aware, but your second paragraph is incomplete, as in it ends in the middle of a sentence. Another big difference between an equity mutual fund and out-right stock ownership, is that you have no voting rights as a shareholder of companies when you own shares indirectly inside a mutual fund. No voting rights, means no (or little) accountability for the people who run the companies: board of directors, CEO, etc. So it is a great question: what exactly is it that you own when you buy a mutual fund.